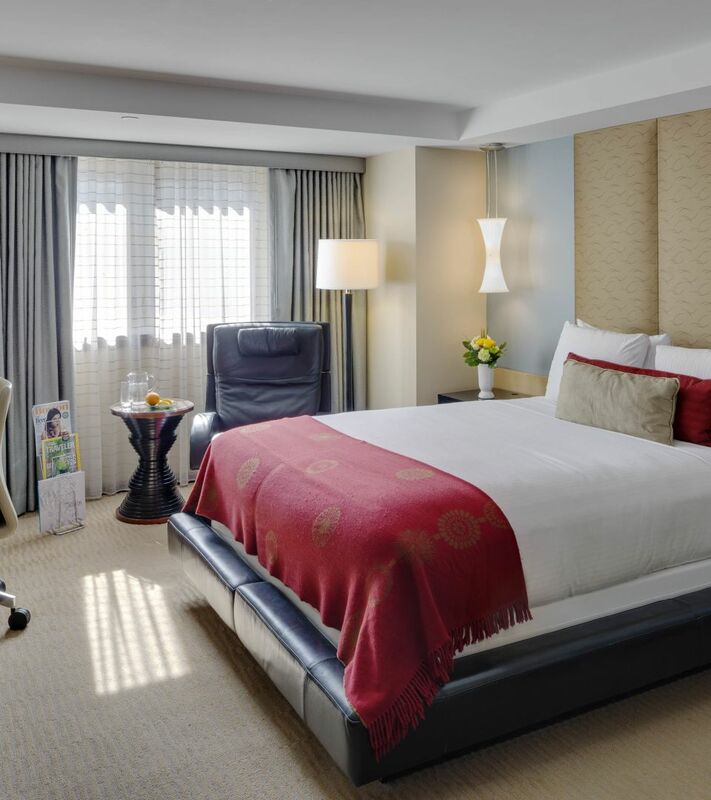 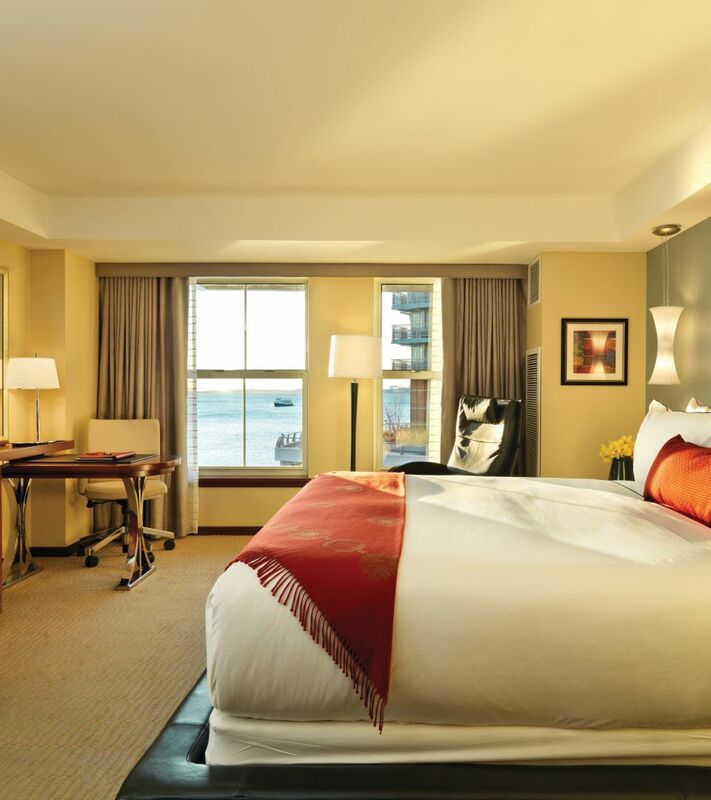 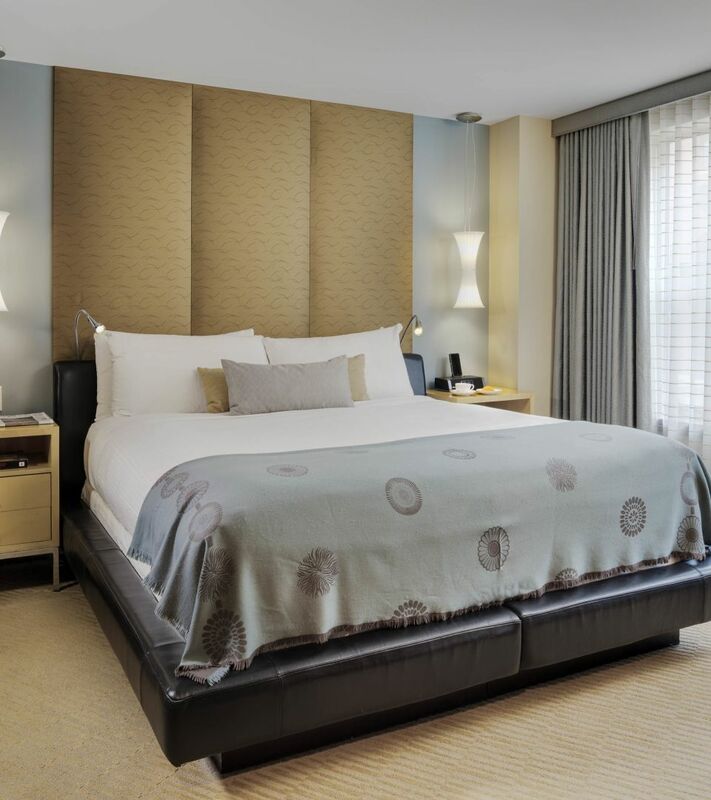 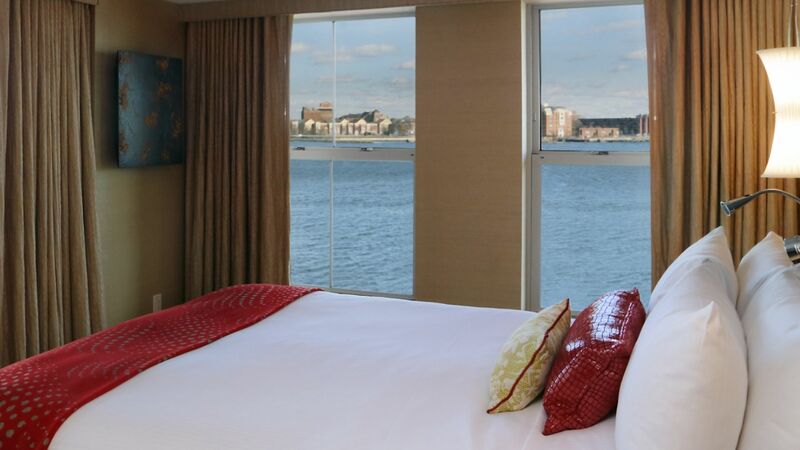 Make our classically contemporary One Bedroom Harbor Suite your home-away-from-home on the Boston waterfront. 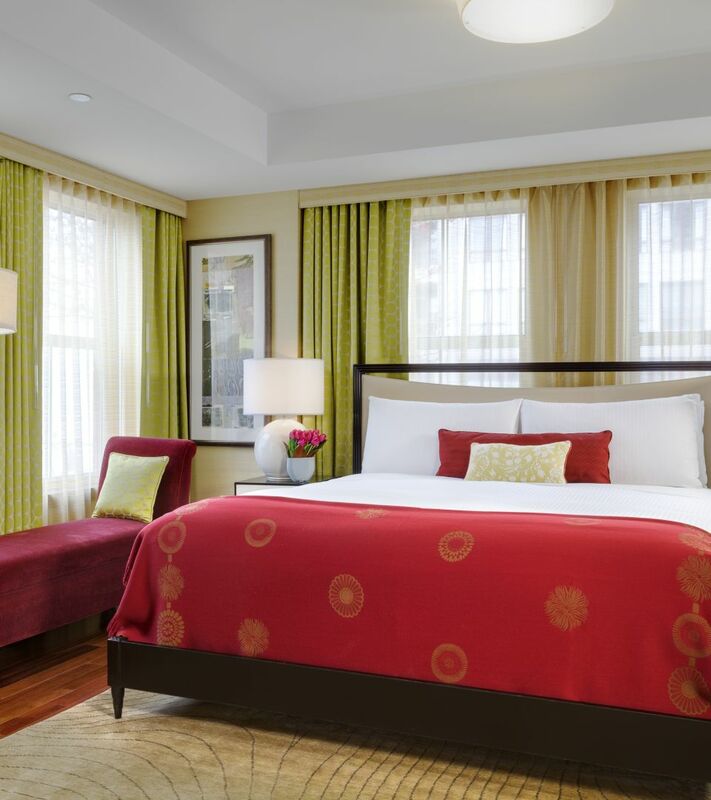 Its residential design is gracious and timelessly refined, with a separate parlor and sliding burled wood doors leading to a master bedroom with king bed and luxurious granite bath. 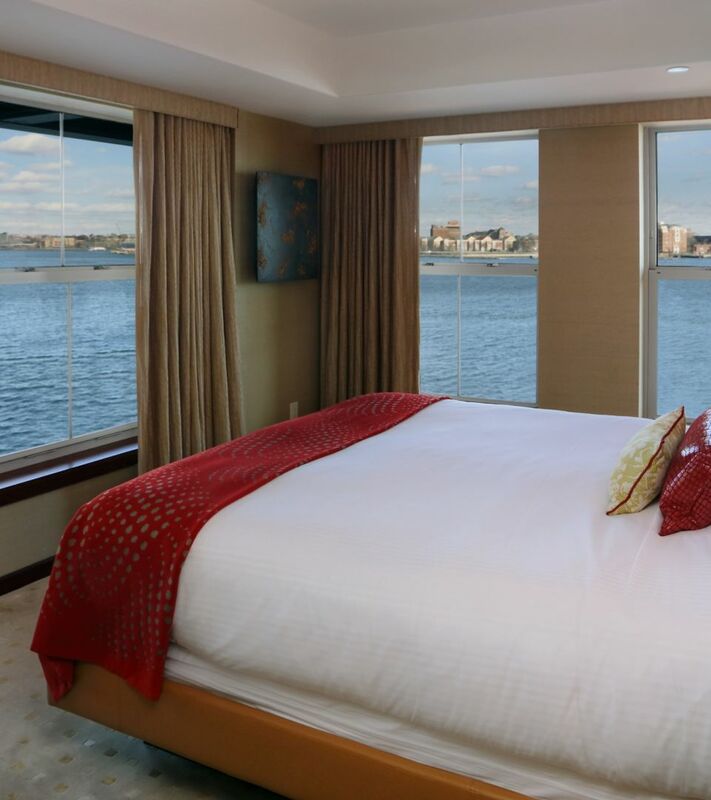 Soft shades of gold and seafoam add a layer of tranquility to these approximately 800 square feet suites, reflecting the beauty and elegance of the Boston waterfront.